The Flying Scotsman’s planned trips in Borders and Fife are to go ahead after earlier being cancelled at short notice. Track operator Network Rail said on Friday that the famous steam locomotive would no longer be able to undertake planned tours on Sunday because safety assessments had not been carried out on some lines in time. Scotland’s transport minister, Derek Mackay, accused the rail body of “appalling incompetence” and started talks to restore some of the route. The Network Rail chief executive, Mark Carne, offered a “wholehearted and sincere apology” and said an investigation into Friday’s cancellation would still take place. “Overnight and through today, our engineers and analysts have worked hard to find a way to get the necessary safety checks and engineering assessments done,” Carne said. “I am pleased to say that we have been successful and are now able to reinstate the original planned tours of Flying Scotsman in Scotland on Sunday. The locomotive is due to arrive at Edinburgh Waverley from York on Saturday and earlier plans would have seen a vintage diesel engine take over for Sunday’s trips on the new Borders Railway to Tweedbank and across the Forth Bridge. 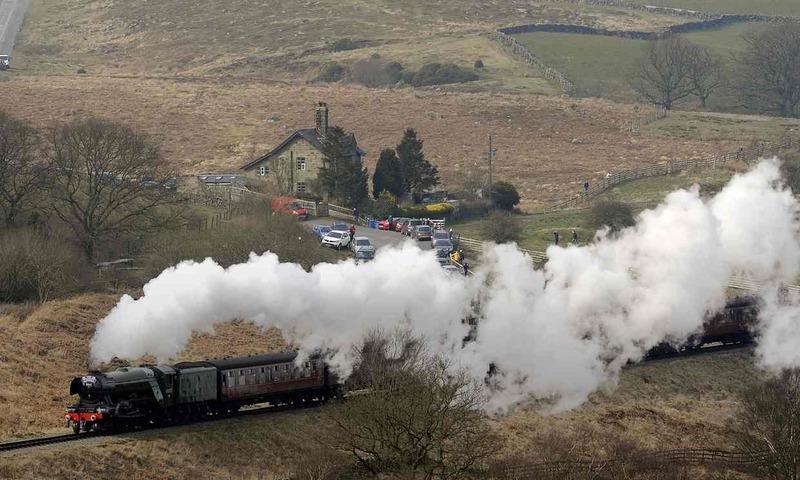 The cancellation had dismayed hundreds of rail enthusiasts planning to see the recently refurbished steam engine. Excursion operators Steam Dreams said Network Rail had known about the trips for months but left work “until the last minute”. Built in Doncaster, South Yorkshire, in 1923, Flying Scotsman pulled the first train to break the 100mph barrier in 1934. The National Railway Museum in York bought the locomotive for £2.3m in 2004 before work got under way on its decade-long restoration two years later. Network Rail was forced to pay out almost £60,000 in compensation when dozens of train services were delayed by people encroaching on the track during the refurbished train’s inaugural run from London to York on 2 February this year. Mackay said: “This is welcome news and, as a result of concerted local action, I hope that many people will now get to enjoy the experience of Flying Scotsman returning to Fife, Midlothian and the Borders. “This, however, does not explain how we ended up in this farcical situation, nor will it comfort the many people who have been looking forward to this day and have had to amend or cancel travel plans at the last minute.